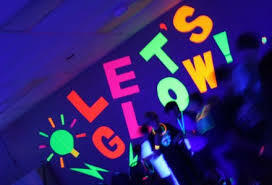 Come join us for a super fun glow in the dark party! We will play BLACK LIGHT DODGEBALL and have some cool refreshments! Make sure you dress in bright neon colors.